Inner-duct used to map existing clay conduit package. 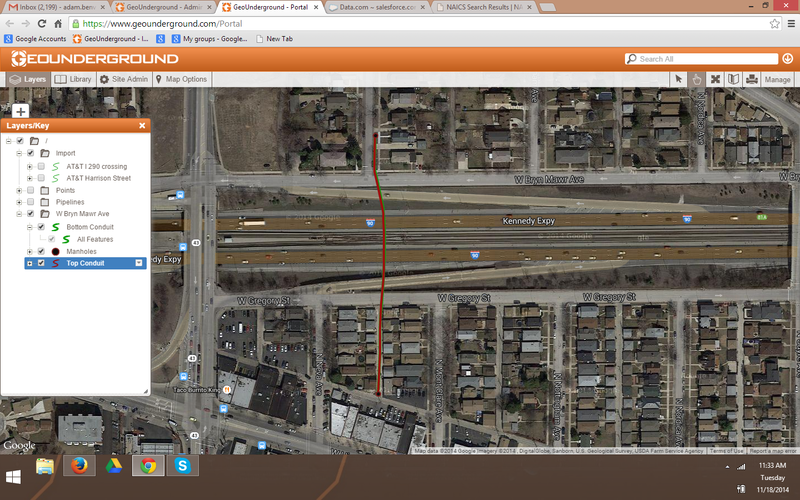 Special Considerations: Inner-duct used to map existing clay conduit package. 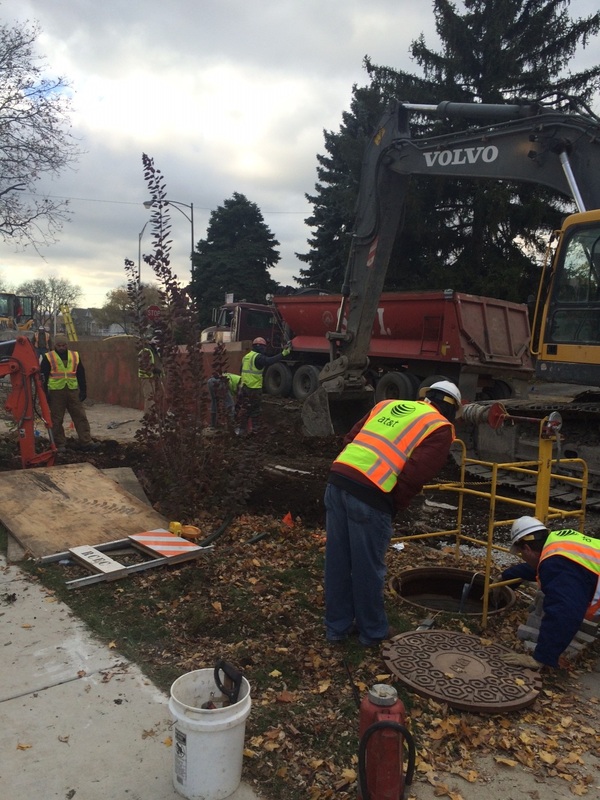 The City of Chicago Water Department was installing a sewer manhole in West Bryn Mawr Avenue. 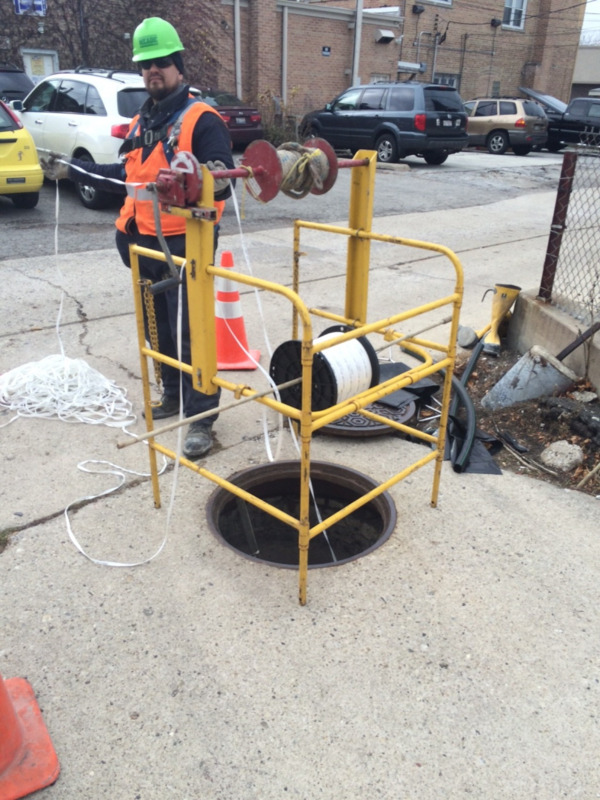 The manhole was being put over a utility package of 16 telecommunication ducts made of clay tile. 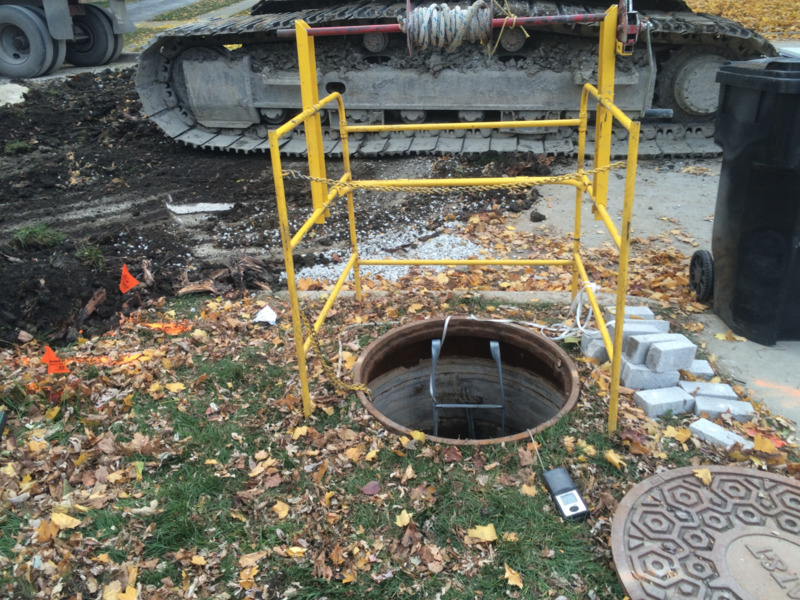 The project required the city to drive 30’ H-pile for earth retention and therefore must ensure that these did not strike the utility cable package below. The utility attempted to find the pipeline by digging a test pit to a depth of 24-feet, however, they were not successful in locating the conduit. To determine the coordinates of the ducts, Geospatial Corporation was contracted to perform XYZ Smart Probe mapping on two of the ducts (as selected by the utility). To utilize the Smart Probe, it was essential that a 1.5” Inner Duct be pulled through each conduit to ensure clean passage and accurate data collection. Geospatial provided a 2-man crew of pipeline mapping technicians and a local electrical contractor under subcontract to Geospatial provided a 4-man crew to assist in accessing the pipeline, traffic control, and the pulling of the instrument. Due to the short length and smoothness of the Inner Duct, the subcontractor team opted to hand-pull the Smart Probe Mapping device. In total, we acquired 3-data sets per conduit. Processing in the field showed that the data sets were accurate and within the Geospatial Corporation’s strict guidelines. After completion of the data-collection, Geospatial Corporation was able to verify consistency of the mapping results and begin post-processing at their headquarters. Upon completion, an accurate 3-dimensional map of the centerline of the pipeline was created*. Geospatial’s findings were reported via AutoCAD and our cloud-based GIS platform - GeoUnderground for effective and adaptable use of the deliverable. is important to note that this centerline was of the Inner Duct and not representative of the true centerline of the clay tile conduit.